Some of the other trends in beauty that are hot right now include products containing all manner of unusual and creative ingredients from honey to gold and even hydrogen. The Hut A/W 2017 beauty trend report is an interesting read if you fancy finding out more about these trends and lots more. One of the other trends they've highlighted is a growing focus on botanical products and a trend for 'farm to face' and they've kindly sent me some botanical beauty and hair products to try out. 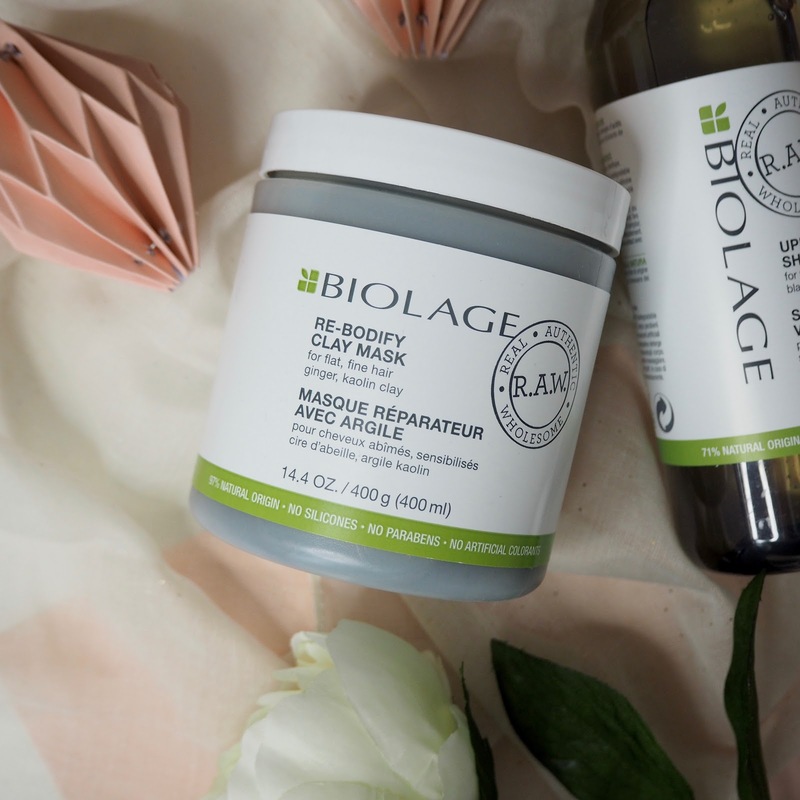 Firstly let's talk about a brand I've not tried before, and that's Matrix Biolage. Huge in the US and with celebrity fans such as Reese Witherspoon and Penelope Cruz, this is a brand I was excited to try. 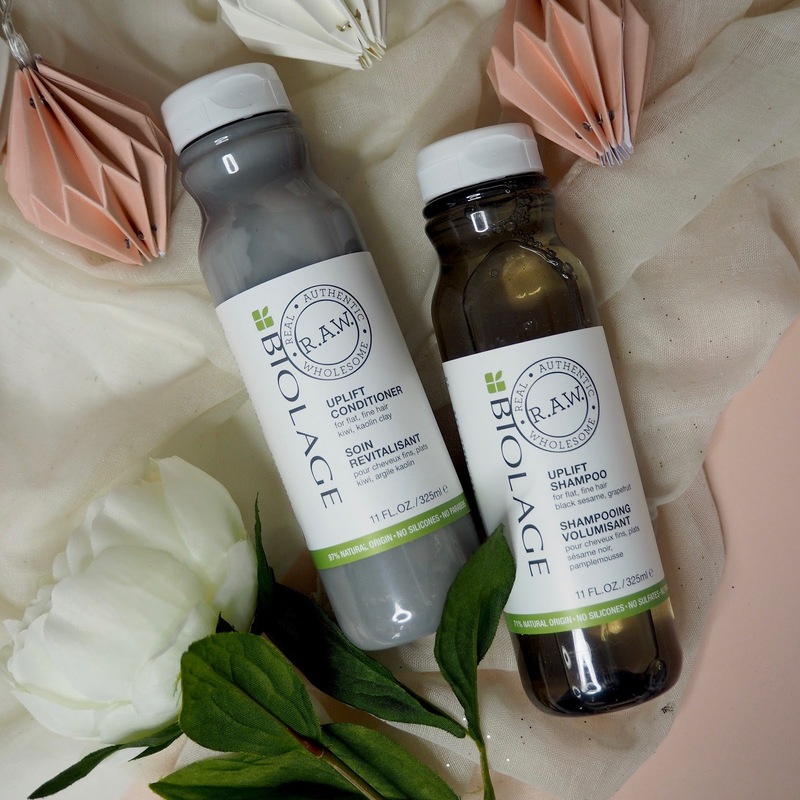 The hair products I've tried out are from their 'RAW' range which stands for Real, Authentic and Wholesome - they use natural origin ingredients and are free from silicones and parabens. In the past, although probably not the best thing for your hair, silicones have been my friend as they can fake sleekness on straw-like hair, so I was a little apprehensive that these might not give me good results. 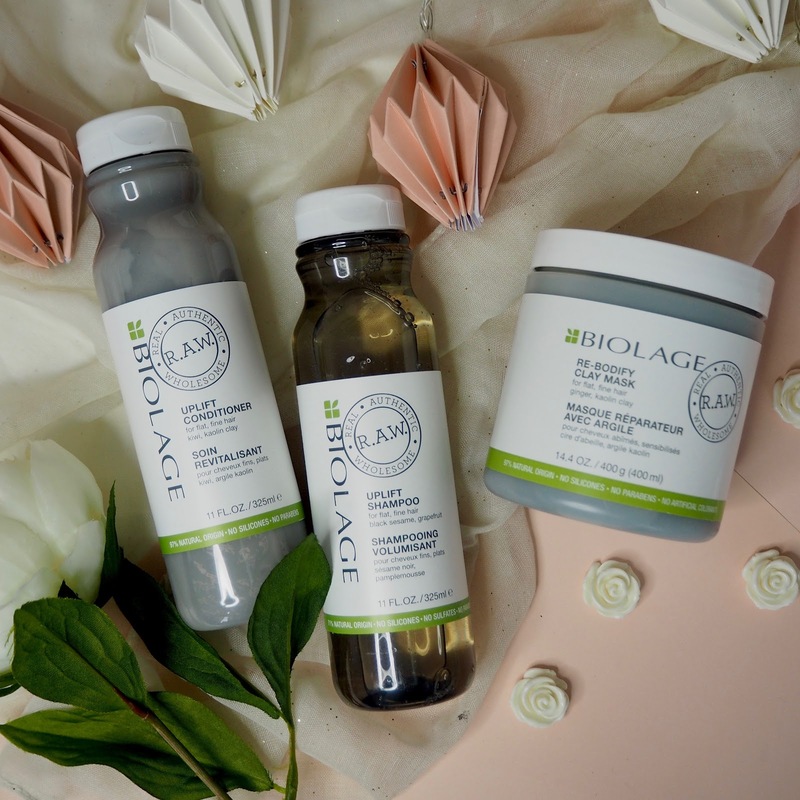 But, as the Uplift shampoo and conditioner and Re-bodify clay mask are targeted for flat and fine hair, I was certainly interested to see if they could do anything to stop my hair looking lifeless and plastered to my head! The shampoo, to my surprise, lathered up really well and very easily - I didn't expect that from a more natural product. It also left my hair clean to the squeak - always got to do that squeak test! The conditioner has a thick texture which I like, and I found I didn't use as much as I would with some of the more runny conditioners I'm used to. After washing and drying my hair I was again surprised by how manageable it was - I didn't have tangles, my hair was shiny and it felt pretty light and bouncy. 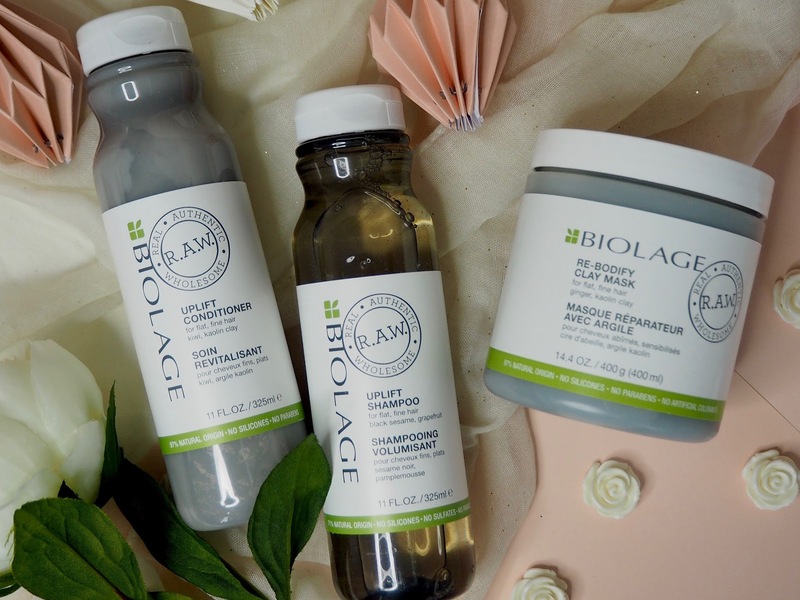 My roots did feel slightly more lifted and not as flat, and my hair didn't get oily any faster than usual - that was another of my worries when it came to trying more natural haircare. I'm enjoying both of these and am continuing to use them in my daily routine. The jury's still out for me on the Re-bodify clay mask. I've tried it twice so far and am undecided on whether or not I'm using it correctly! It's a mask which you use after shampooing your hair and you leave it on for five minutes. The mask is again for flat and fine hair and is designed to build more body into the hair and to make it feel fuller. The mask has a really thick texture, thicker than the conditioner, and you just scoop out a small amount and massage through the hair and roots. I'm uncertain as to whether I need to spend longer rinsing the product out, as so far after using this and drying my hair I've felt like I had some residue and that my hair's not completely clean. It could be that this is the way it adds body to your hair, but for me I'm obsessed with that squeaky clean feel due to having oil-prone roots. I'll try again with this one, perhaps using less product and a lot more rinsing, but perhaps this one's better for those with a drier hair type than mine. It's worth a mention that all of the products in this range smell lovely - it's a scent I can only describe as very botanical and natural (super unimaginative of me!) but it's really nice and lingers in the hair throughout the day. 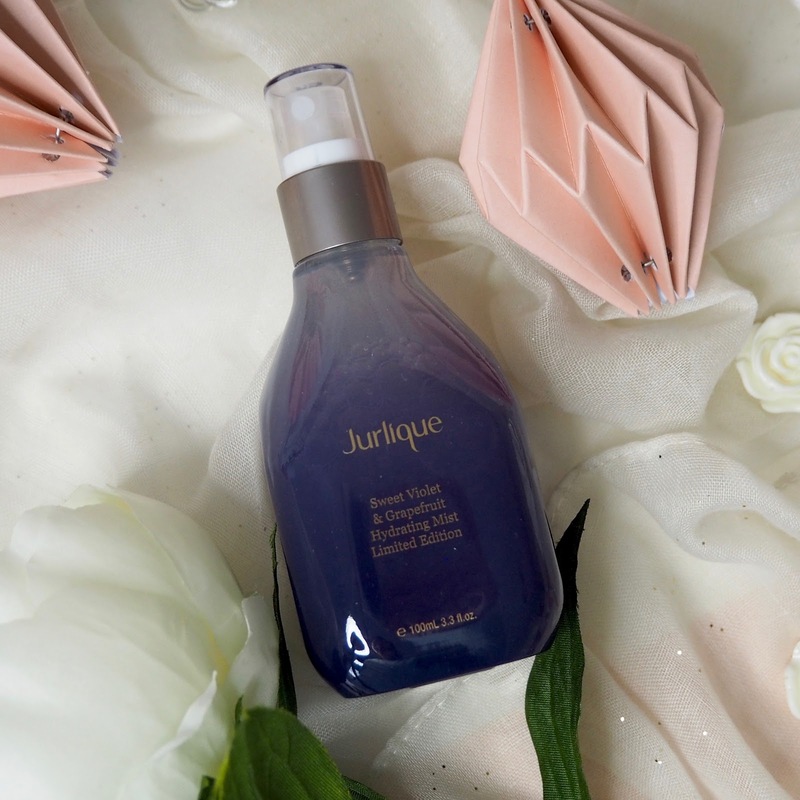 And now onto a brand that I've known and enjoyed for quite some time and probably the most beautifully packaged botanical beauty brand - Jurlique. 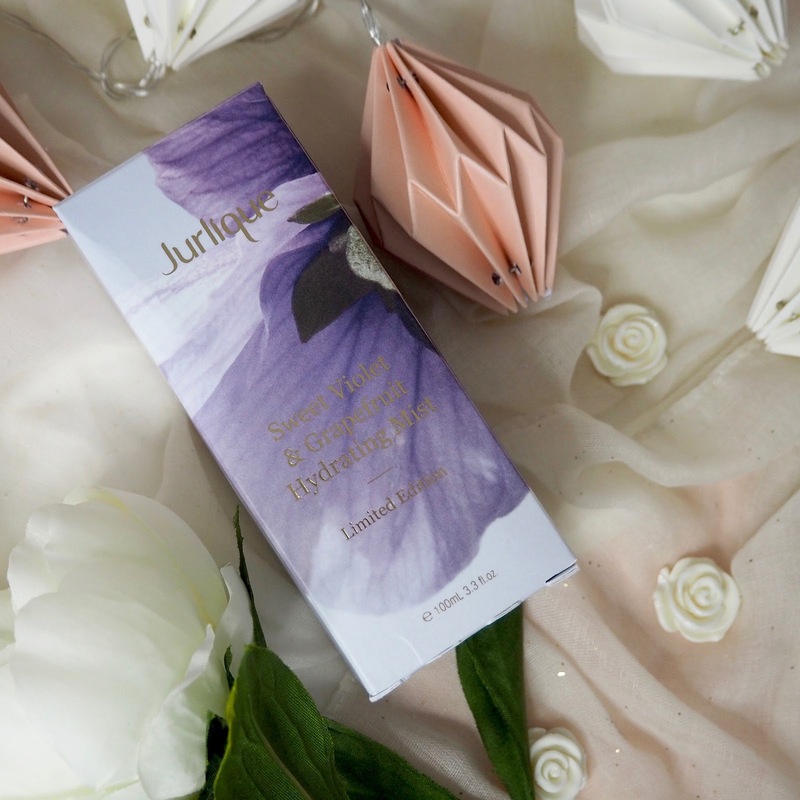 Jurlique is a skin care brand using natural ingredients from Australia, grown on the brand's own farm. Possibly most well known for their hydrating facial mists, they also have a wide range of products for both face and body. 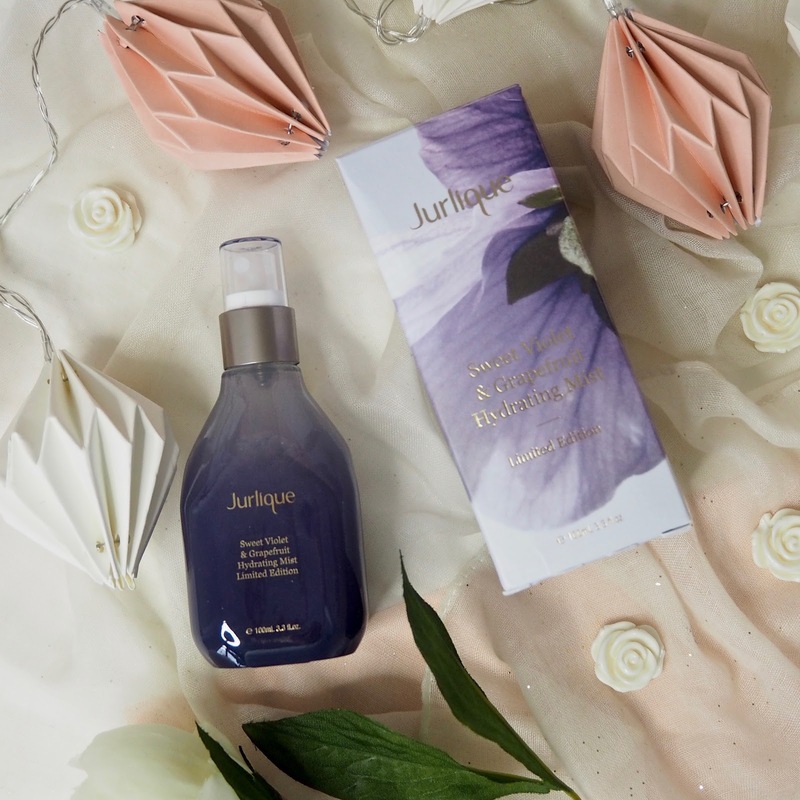 I've used their rosewater balancing mist before and really enjoyed it, so I was super excited to unwrap the limited edition Jurlique sweet violet and grapefruit hydrating mist. First things first it looks stunning inside and out - I don't usually photograph the outer packaging of products, but this box is just too pretty with the big violet print and gold embossing. The mist itself is gorgeous too with its gradual colour fade in a violet shade - I love products that will look this good on my dressing table. The hydrating mist smells absolutely divine - it's a delicate, sweet floral scent that's also refreshing because of the grapefruit notes. Perfect for hydrating the skin after cleansing morning or night, or any time you feel like a luxurious little pick me up. For me this is a wonderfully indulgent treat, and a perfect gift to give too. When botanical products look and smell this good, I'm 100% on board. Do you notice and follow beauty trends?